With the high-powered upholstery tool, you can enjoy a deep clean on both hard surface and carpet. The brush roll works to remove fur, small particles and stuck-on dust with ease. 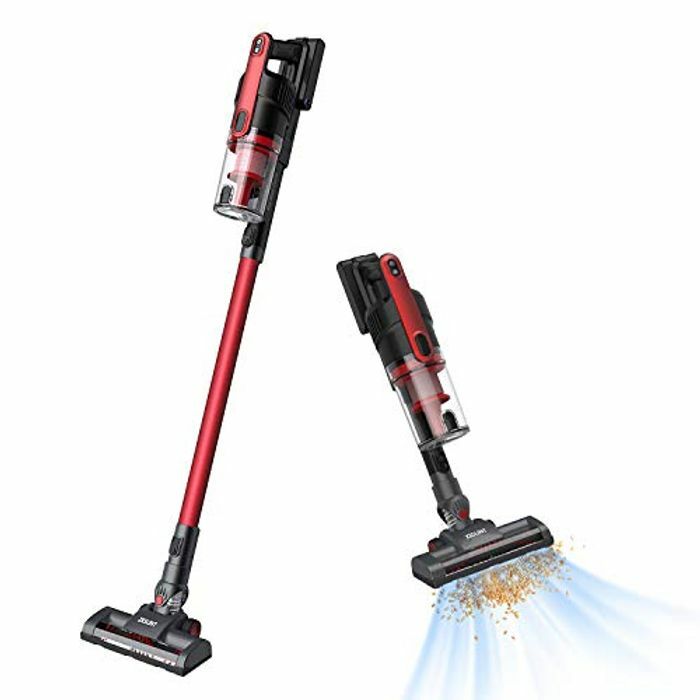 With the 2-in-1 dust brush head, the vacuum turns into a clothes cleaner to remove dust from suits, blankets, sheets and curtains in an effective and gentle way. The flat head is specially designed for tricky spots like inside the car, the keyboard, corners, or the gap between the sofa and the wall. You can hang the vacuum on the wall with the included mount. With a 700ml large capacity bin, You don’t have to empty and clean the bin so frequently.